On December 30th ,1947, a Zionist terrorist planted a bomb in the Arab neighborhood where Palestinian Arab workers from nearby Palestine Oil Refinery used to live. As a result 6 Palestinians were killed, and 41 others were injured. Next morning, the Arab workers rioted in the Oil Refinery and attacked the Jewish workers to avenge the death of their Arab brothers, which resulted in the killing of 41 Jewish workers. In response, the Haganah and IZL forces retaliated by perpetrating the New Years Eve Massacre at Balad al-Shaykh, which resulted in the killing of close to 60 innocent men, women, and children. It should be noted that the people of Balad al-Shaykh had nothing to do with Oil Refinery riots, and the Haganah made the choice of picking an easy target to avenge the death of the Jewish workers at the Oil Refinery . 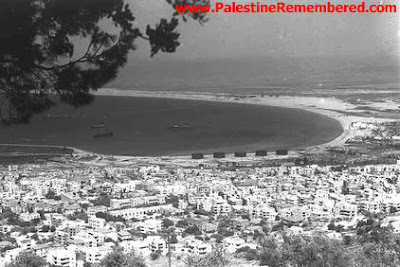 On February 29th ,1948, Zionist terrorists rolled downs a barrel of explosives from Haifa’s Jewish neighborhood, Hadara Ha Carmel, into al-‘Abasyah Arab neighborhood, which resulted in the destruction of most of the neighborhood. The bomb ended up terrorizing the nearby Arab neighborhoods into fleeing soon after that incident. On March 22nd, 1948, Zionist terrorists disguised as British officers planted a car bomb in Iraq Street that killed and injured 36 people, mostly women and children, plus the destruction of several public buildings. Some history and information about Mt. 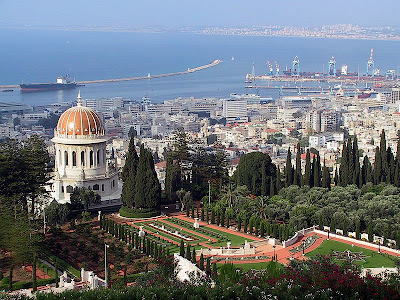 Carmel and Haifa….